Effective decision making in complex dynamic situations calls for designing a fusion-based human-machine information system requiring gathering and fusing a large amount of heterogeneous multimedia and multispectral information of variable quality coming from geographically distributed sources. Successful collection and processing of such information strongly depend on the success of being aware of, and compensating for, insufficient information quality at each step of information exchange. 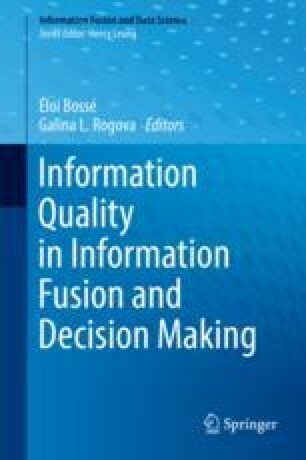 Designing methods of representing and incorporating information quality into fusion processing is a relatively new and rather difficult problem. The chapter discusses major challenges and suggests some approaches to address this problem.